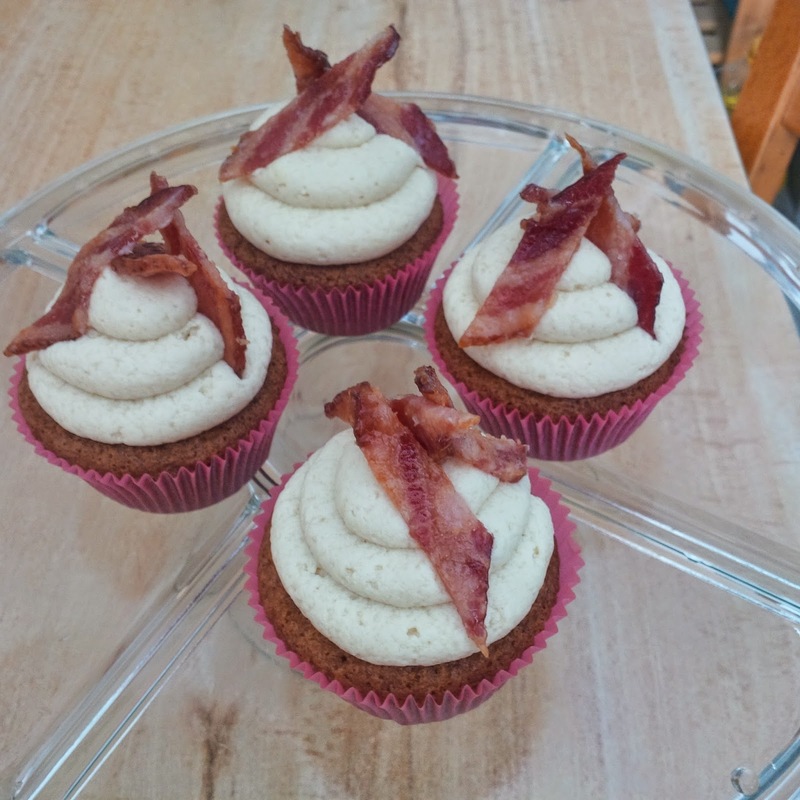 Cakes, Cuppies And Other Confections: Who doesn't like more bacon? So I had Candied bacon in my fridge like a regular person and I wanted to find something else to do with it besides eat it all myself. I contemplated that. A lot. 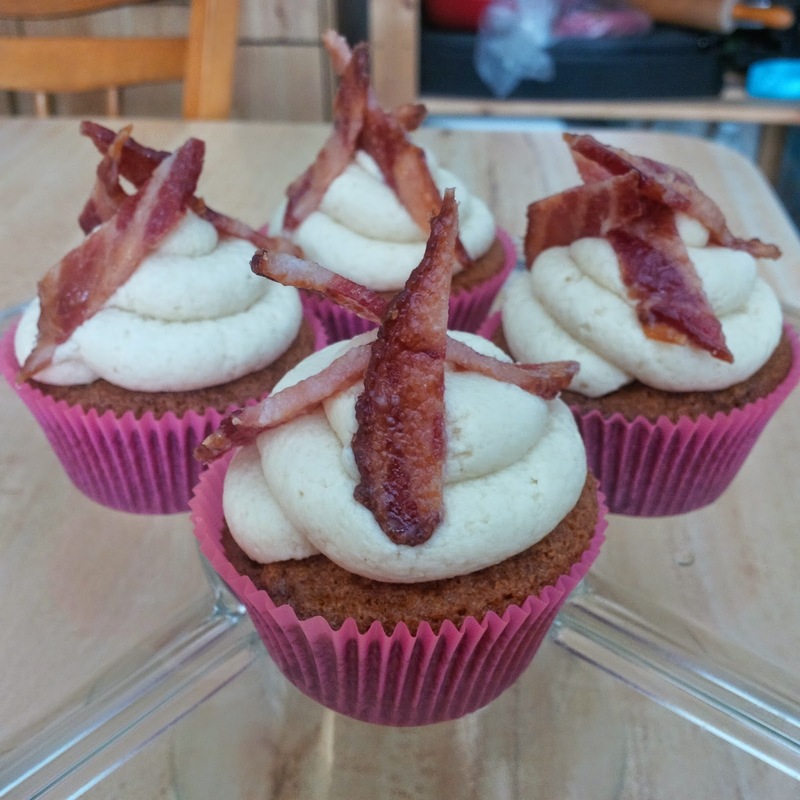 BUT I decided to do the right thing and share it with others so I found a recipe for Maple Bacon Cupcakes. A vanilla cupcake with diced bacon in the batter, covered in a smooth maple buttercream and topped with some shards of more bacon. This is what I have been missing in my life. They were delicious! I used homemade maple syrup in the butter cream which only took it higher on the yummy scale. I took a dozen of these to work to share with my co-workers and they all got eaten up!